Prague is a beautiful city and you can bet that the city will be crowded during the openSUSE Conference. Hotels are already starting to fill up, so it’s best to take a look at the hotels we recommend now before all the hotels are booked out. There are six hotels that are recommended, but feel free to book at other hotels in the city. The section for recommended lodging on the openSUSE Conference 2018 webpage gives options for hotels as low as 40 EUR a night to above 120 EUR. Each listing on the section gives a little info about the hotel. Prague is a big city with excellent public transportation. With the exception of one hotel listed on the web page, which is the Vienna House Diplomat Prague, all other hotels are a few kilometers from the event location at the Faculty of Information Technologies of Czech Technical University in Prague. Getting to the event with public transportation is inexpensive. A one-way ticket, which is good for 30 minutes, costs about 1 EUR. People can use the transportation map to figure out how to take public transportation from the hotel to the event. The transportation map offers an interactive map to help with planning. FOSDEM is here once again and openSUSE will be there for all the madness that will take place next Friday, Saturday and Sunday. Geekos will discuss everything you want to know about Tumbleweed, Factory, YaST, Open Build Service, openQA and more. 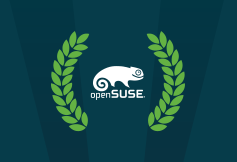 The openSUSE community will be there in full force to present to and develop with the open-source community. On Sunday, Feb. 1 between 10:35 and 11:25 a.m., come see Stephan Kulow explain the development process and tools used to turn openSUSE Factory into Tumbleweed; if you are a distribution integrators, you won’t want to miss it.